There is a decorative art that survived the French revolution and was as prolific under Louis XVI th as under Napoleon and that is the art of bronzier and gold sculptor. Pierre Gouthière, 1732-1813, was the most famous of 18 th century artists and a show of his work is at Musée des Arts Décoratifs in Paris after the Frick collection in New York. Jean-Baptiste Claude Odiot, (1763-1850) a manufacturer of gold plated and silver tea fountains and soup dishes, was the most famous argentier of the 19 th century. 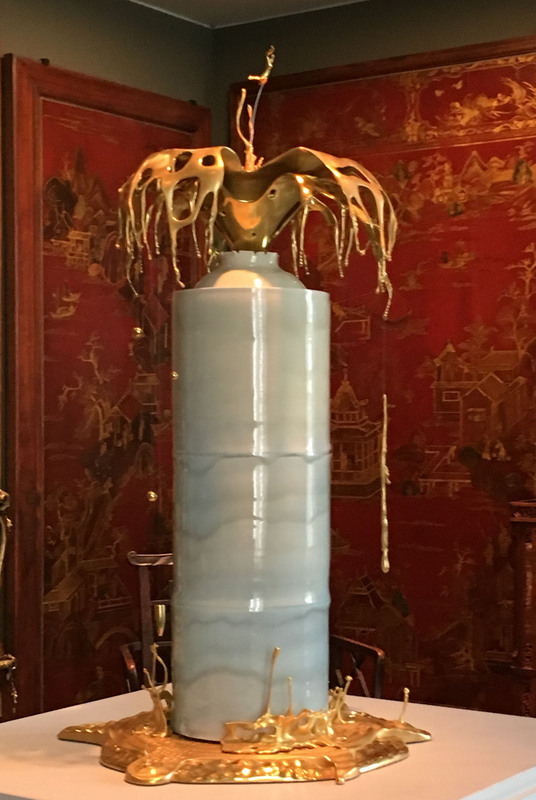 Gonzague Mézin, a contemporary artist who graduated from business school, is showing five pieces produced by his Maison Lignereux, recreeating today what this magic house used to make. The three shows are truly exciting. 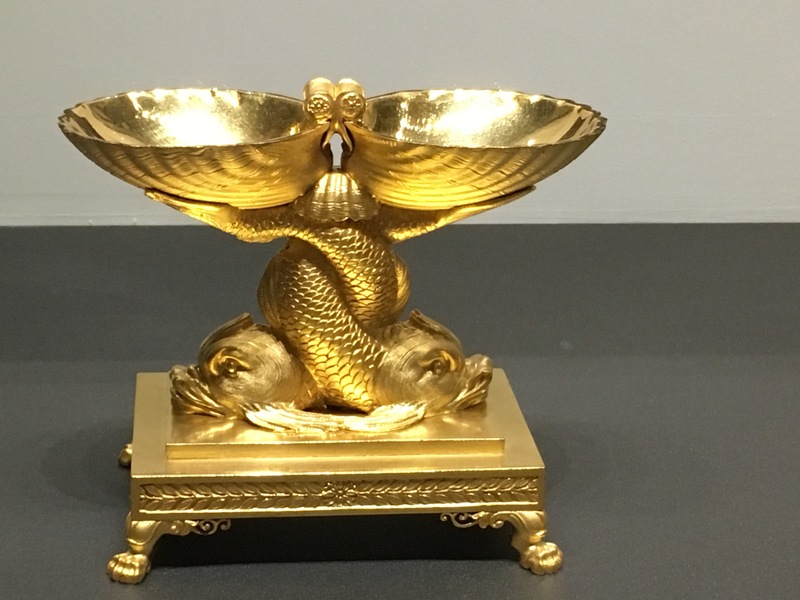 On two floors of the Museum, decors of old houses and famous courtiers are alive again through magnificent pieces, camel shaped firedogs and urns in precious stones. 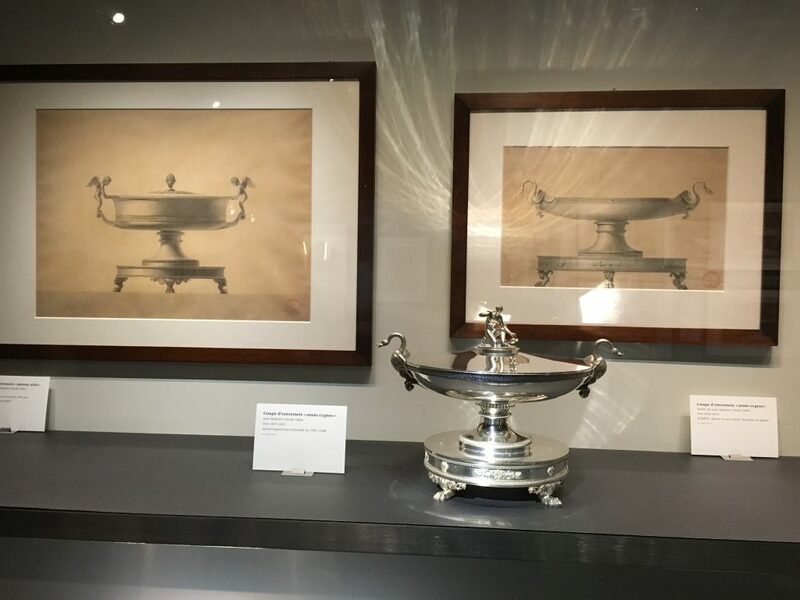 The magnificence of the royal pieces shown here with illustrative drawings and excellent documentation is very exciting. 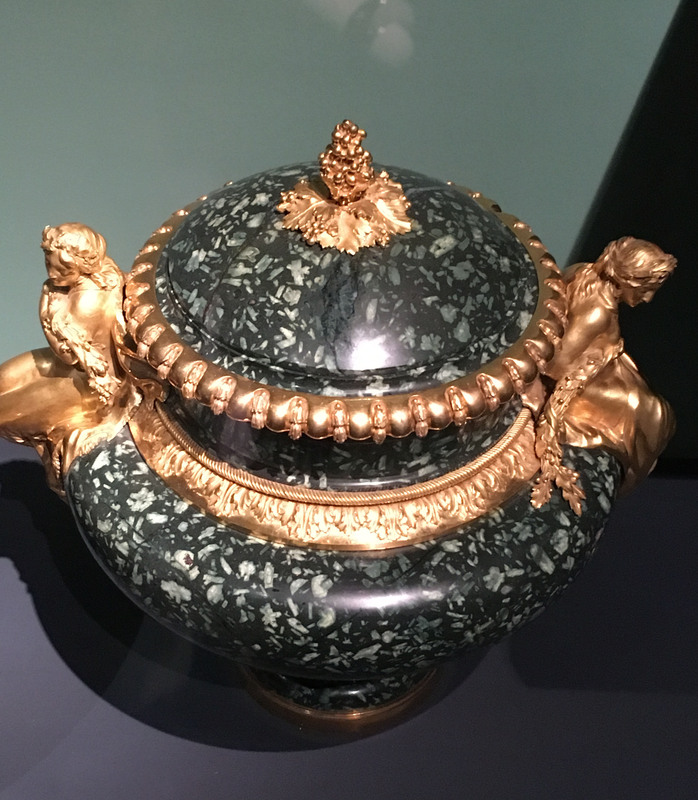 Pierre Gouthière worked with architects, sculptors, and the best bronze and gold technicians. 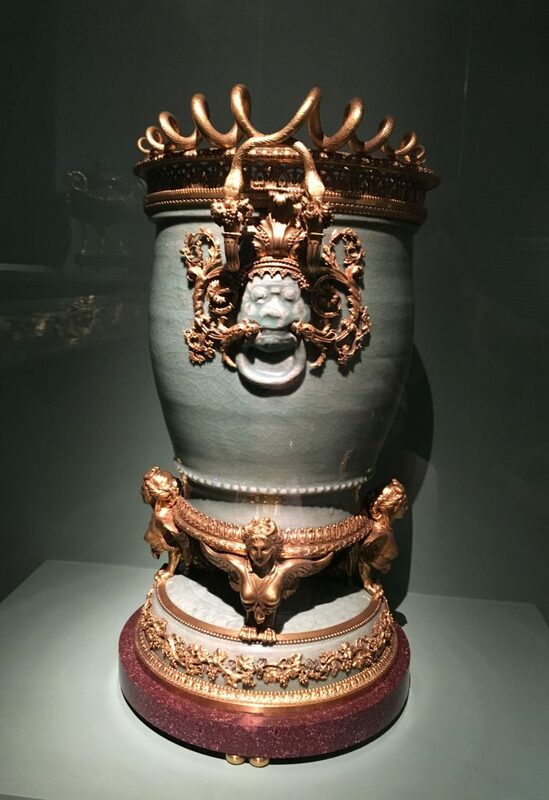 Meissen porcelaine girandoles decorated with elaborate bronze, candle holders, porphyre vases were all made for famous patrons like Duchesse de Mazarin, Comtesse Dubarry, Comte d’Artois in Bagatelle, Duc d’Aumont place de la Concorde or Queen Marie Antoinette. Most pieces come from private collections and Musée du Louvre. 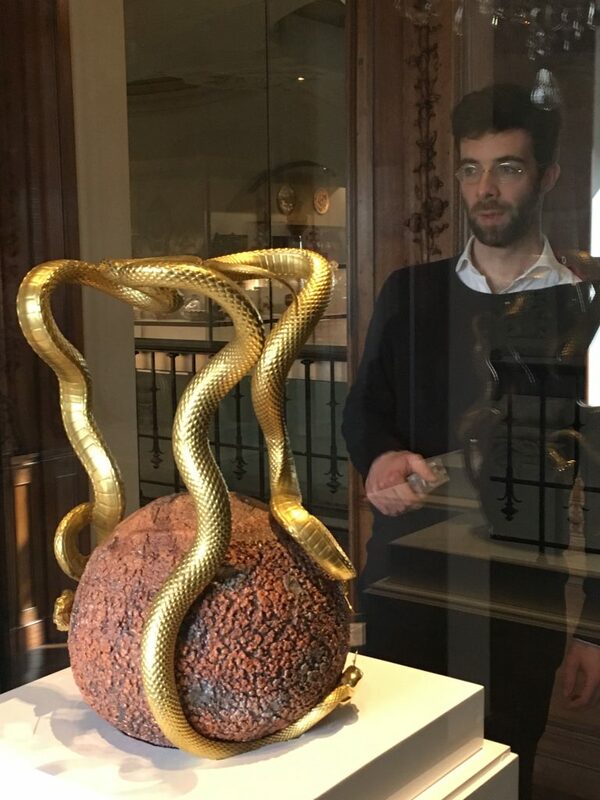 In parallel to Gouthière, Gonzague Mézin, a young businessman who studied art, has developed five objects with Lignereux, the house he is reviving. Ceramists like Thiébaut Chagué, bronze workshop Cabiria, and sculptor Samuel Yal, work under his impulsion to create perfect objects with traditional techniques. His pieces, “Voices”, “Pleasure Dome”, “Mighty Fountain 70”, “Breathing Earth” which each take five months in the making, are visible in the 18 th century part of the museum. Orfèvre Odiot is celebrated through an amazing collection of 176 drawings acquired recently by the museum. Drawings were in grey lavis for silver projects and in ocre lavis for gold. They were presented to the customers in real size with different options for accessories like handles or tops. 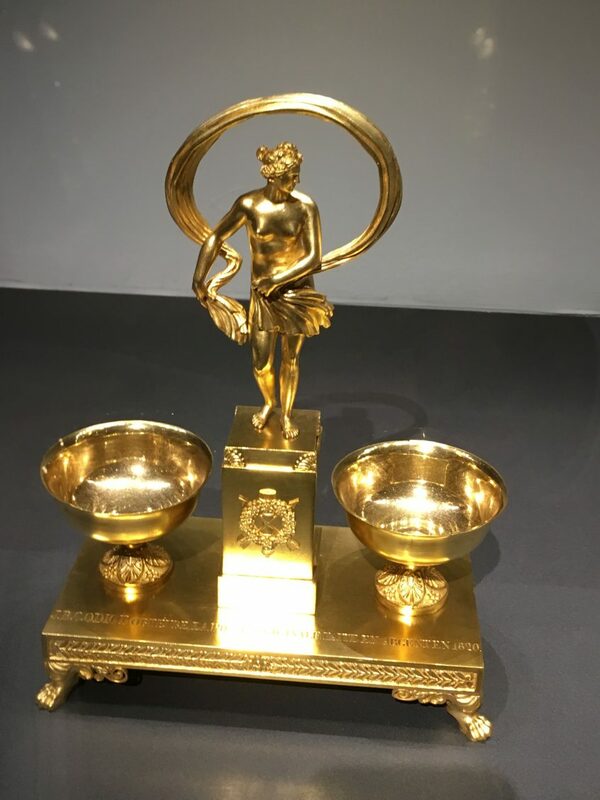 Silver and gold plated pieces were commissioned by Napoleon’s family, a famous cup was moulded on Pauline Borghese’s breast (Sein de Vénus et papillon), and many pieces shown here have been part of the collections of the museum since 1835, first at Musée du Luxembourg then at UCAD. Some can even be acquired from the museum shop. Visiting these three shows is like entering another world of refinement and elegance for a couple of hours.